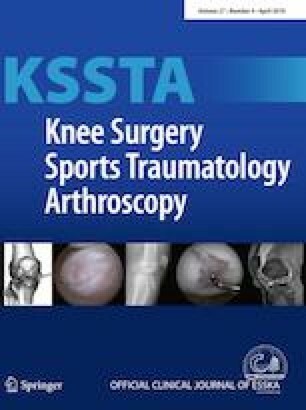 The present study was to analyze graft failure rates of hamstring tendon (HT) autografts with a cut-off graft diameter of 8 mm or 7 mm, and compare clinical outcomes between augmented small HT with an allograft and non-augmented relatively large HT in single-bundle anterior cruciate ligament reconstruction (ACLR). A literature search of PubMed, EMBASE, and the Cochrane Library was performed based on the PRISMA (Preferred Reporting Items for Systematic Reviews and Meta-analysis) guidelines. Studies to assess graft failure of autologous HT ACLR were reviewed, and graft failure rates with a cut-off graft diameter of 8 mm or 7 mm were further extracted. Clinical comparative studies of ACLR between augmented small HT with an allograft and non-augmented relatively large HT autografts were also included. Results are presented as risk ratio (RR) for binary data and weighted mean difference for continuous data with 95% confidence intervals (CI). Nine studies with 2243 knees were included. Four studies examined the effect of HT autograft diameter on graft failure and five studies assessed clinical outcomes of allograft augmentation to small HT autografts. No significant difference was noted in graft failure with a cut-off diameter of 8 mm. No significant difference was found between diameters > 7 and ≤ 7 mm, but a significant difference was observed between diameters ≥ 7 and < 7 mm (RR = 0.49; 95% CI 0.26–0.92, I2 = 0%, P = 0.03). A trend towards increased risk of graft failure was noted for allograft-augmented HT compared with non-augmented HT autografts (RR = 0.43; 95% CI 0.18–1.02, I2 = 0%), but no significant differences were noted in IKDC, Lysholm, and Tegner scores between these groups. The present study did support the use of 7 mm as a reference for cut-off diameter for small HT autografts, but not allograft augmentation to small HT autografts. These findings would guide clinical application of small HT autografts in single-bundle ACLR. Huijun Kang and Conglei Dong are co-first authors. The online version of this article ( https://doi.org/10.1007/s00167-019-05475-6) contains supplementary material, which is available to authorized users. We thank Peter Mittwede, MD, PhD, from Liwen Bianji, Edanz Editing China (http://www.liwenbianji.cn/ac), for editing the English text of a draft of this manuscript.